More than 1.2 million people in England and Wales will have dementia by 2040, new research suggests. Startling new figures have underlined the dementia challenge facing the country. Researchers from two prominent universities say more than 1.2 million people in England and Wales will have dementia by 2040. This will be a rise of 57% when compared to figures for 2016, when there were approximately 767,000 people with dementia in England and Wales. Experts from University College London and the University of Liverpool presented their findings in the British Medical Journal (BMJ). The fact people are living longer lives is the key factor. It's the number of people living with the condition which is set to increase most significantly, while newly diagnosed cases of dementia are falling. With the rise in life expectancy, people are taking holidays at much older ages than in previous decades. Such people can arrange seniors travel insurance. 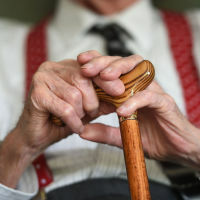 Dr Sara Ahmadi-Abhari, lead author from University College London, said: "The risk of developing dementia at any given age is going down over time, shifting dementia to later years in life. "This decline is mainly because of improvements in healthcare and adopting healthier lifestyles. "Our estimate of 1.2 million people with dementia by 2040 is based on the assumption that the decline in risk of developing dementia continues to the future. "If public health efforts fail and the risk of developing dementia does not continue to decline, the growth in numbers of people living with dementia will be much larger, reaching 1.9 million by 2040."